The name Siem Reap means the 'Defeat of Siam' -today’s Thailand- and refers to a centuries-old bloodbath, commemorated in stone in the celebrated bas relief carvings of the monuments. In 1901 the École Française d'Extrême Orient (EFEO) began a long association with Angkor by funding an expedition to the Bayon. In 1907 Angkor, which had been under Thai control, was returned to Cambodia and the EFEO took responsibility for clearing and restoring the whole site. In the same year, the first tourists arrived in Angkor - an unprecedented 200 of them in three months. Angkor had been 'rescued' from the jungle and was assuming its place in the modern world. The Khmer Empire once included much of modern-day Thailand, but there's a touch of irony about the name given that Thailand ultimately defeated Cambodia, and controlled Siem Reap and Angkor from 1794 to 1907. Siem Reap was little more than a village when the first French explorers re-discovered Angkor in the 19th century. With the return of Angkor to Cambodian, or should that be French control in 1907, Siem Reap began to grow, absorbing the first wave of tourists. The Grand Hotel d'Angkor opened its doors in 1929 and the temples of Angkor remained one of Asia's leading draws until the late 1960s, luring visitors like Charlie Chaplin and Jackie Kennedy. In 1975, Siem Reap, along with the rest of the cities and towns in Cambodia, its population was evacuated by the communist Khmer Rouge and driven into the countryside. As with the rest of the country, Siem Reap's history (and the memories of its people) is colored by spectra of the brutal Khmer Rouge Regime, though since Pol Pot's death in 1998, relative stability and a rejuvenated tourist industry have been important steps in an important, if tentative, journey forward to recovery. With the advent of war, Siem Reap entered a long slumber from which it only began to awake in the mid-1990s. In a series of ceremonies at different sites, the prince declared himself ruler of a new independent kingdom, which unified several local principalities. His kingdom eventually came to be centered near present-day Siem Reap in northwestern Cambodia. 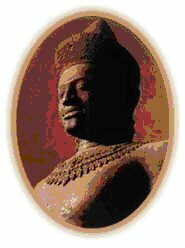 The prince, known to his successors as Jayavarman II, inaugurated a cult honoring the Hindu god Shiva as a devaraja (Sanskrit term meaning "god-king"). The cult, which legitimized the king's rule by linking him with Shiva, persisted at the Cambodian court for more than two hundred years. Immediately after occupying Cambodia's towns, the Khmer Rouge ordered all city dwellers into the countryside to take up agricultural tasks. The move reflected both the Khmer Rouge's contempt for urban dwellers, which they saw as enemies, and their utopian vision of Cambodia as a nation of busy, productive peasants. The leader of the regime, who remained concealed from the public, was Saloth Sar, who used the pseudonym Pol Pot. The government, which called itself Democratic Kampuchea (DK), claimed to be seeking total independence from foreign powers but accepted economic and military aid from its major allies, China and North Korea. The war with Vietnam went badly for Cambodia, and in the second half of 1978 the DK tried to open the country up to the wider world, inviting journalists to visit and extending diplomatic recognition to several non-socialist countries. In December 1978 the Vietnamese launched a blitzkrieg assault on Cambodia, using more than l00,000 troops. A group of Cambodian Communist rebels, the Khmer National United Front for National Salvation (KNUFNS), accompanied them. On January 7, 1979, the invading forces occupied Phnom Penh, which the Khmer Rouge leaders had abandoned the day before. Pol Pot, his colleagues, and hundreds of thousands of followers sought refuge over the next few months along the Thai-Cambodian border. There they were protected by the Thai regime, which was hostile to Vietnam. Vietnam established a satellite regime called the People's Republic of Kampuchea (PRK) in January 1979. The new government included many former members of the Khmer Rouge who had defected to Vietnam, as well as some Cambodians who had sought refuge in Vietnam before the Khmer Rouge victory in 1975. After coming to power, the regime restored much of Cambodia's pre-1975 way of life, including the practice of Buddhism and a nationwide education system. For the time being, however, agriculture remained collectivized. Like all previous regimes, the new government treated its opponents harshly; like the Khmer Rouge, it severely limited people's freedom of expression. The pro-Vietnamese Kampuchean Peoples' Revolutionary Party (KPRP) monopolized political power and swept the 1981 elections for the National Assembly. Meanwhile, remnants of the Khmer Rouge and other Cambodians who had fled to Thailand formed an anti-Vietnamese government in exile, which continued to be known as DK. China, Thailand, and the United States had disapproved of the overthrow of DK, viewing it as Vietnamese aggression, and encouraged the formation of the government in exile. With the support of these countries, DK retained Cambodia's seat in the United Nations (UN). Only a few foreign governments, including the USSR and India, recognized the PRK as Cambodia's legitimate government. Foreign aid to Cambodia was largely limited to the Soviet-led bloc of Communist nations. Throughout the 1980s, Vietnam maintained more than 100,000 troops in Cambodia. Conflict between PRK and DK forces, combined with Cambodia's relative isolation, produced continuing economic instability. Thousands of people were killed in battle or maimed by landmines. In 1985 Cambodia's foreign minister, Hun Sen, became prime minister of the PRK. In September 1989, as the Cold War ended and Soviet financing of the Vietnamese forces in Cambodia fell sharply, Vietnam withdrew its troops from Cambodia. The withdrawal left the Cambodian regime, under young prime minister Hun Sen, in a precarious position, deprived of all substantial foreign aid and threatened militarily by the forces of the Khmer Rouge and their allies on the Thai-Cambodian border. Soon afterward the PRK officially abandoned socialism, renamed itself the State of Cambodia (SOC), and introduced a range of reforms aimed at attracting foreign investment and increasing the popularity of the ruling KPRP, renamed the Cambodian People's Party (CPP). Some members of the government became millionaires overnight, while the national economy was still stumbling to its feet. A program of privatization, which ended collectivized agriculture, and a headlong rush toward free-market economics from 1989 to 1992 widened the inequities in Cambodian society. Some members of the government became millionaires overnight, while the national economy was still stumbling to its feet. As markets opened in Thailand and Vietnam, exploitation of Cambodia's gem and timber resources by foreign businesses became widespread. Meanwhile, fighting between government and Khmer Rouge forces intensified, as the Khmer Rouge occupied large areas in the relatively inhospitable northern part of the country. Sihamoni's selection was endorsed by Prime Minister Hun Sen and National Assembly Speaker Prince Norodom Ranariddh (the new king's brother), both members of the throne council. He was crowned in Phnom Penh on October 29. 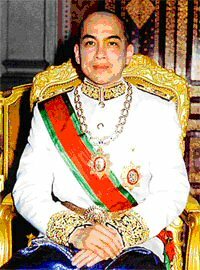 Sihamoni remains a bachelor and has no children, which means he does not have a direct successor if one were to be required. However, this should not be a problem as the King in Cambodia is selected by the throne council.